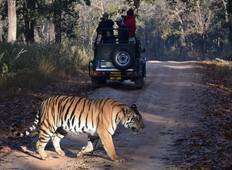 Find the perfect Safari holiday in Ranthambore National Park. 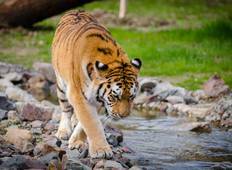 There are 86 Ranthambore National Park safaris to choose from, that range in length from 3 days up to 30 days. The most popular month for these tours is October. "It was a great trip . Our driver Kamal was fantastic, pointed out sights on the way..."
"We had a magical trip! Everything from the moment we landed in New Delhi Airport..."
"Great tour, well organised and timed. Transport was very comfortable. A great way..."
"With this review we want to convey that the tour provided by K K Holidays was fantastic...."